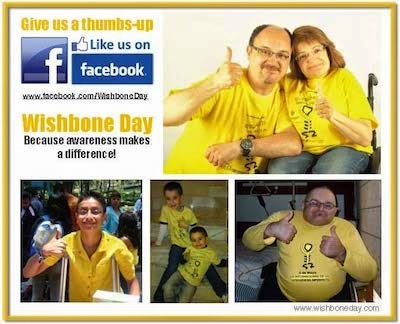 ﻿We're excited to announce the Rotary Club of Dee Why Warringah will support Wishbone Day Internationally! This new partnership is an exciting step in raising awareness around the world by supporting communities everywhere to host their awareness raising events. The Rotary Club of Dee Why Warringah invites all Rotary Clubs (including Rotaract and Interact Clubs) to support their local community in the hosting of Wishbone Day events (small or large). Click the image above to download and print the invitation.